This past decade, we’ve seen how technology has rapidly transformed all facets of our society – from the way we communicate to the way we work, to the way we shop. Although most of our daily tasks are dependent on technology, one activity that has been revolutionized by technology most is the way we shop. Online shopping has become the norm. Everything we need and want is available online. From basic necessities to more luxurious purchases, name it and you’ll find it online. The Internet has made it so much easier and more convenient to find the stuff that we need – even trivial items. For example, not long time ago, searching for specialty items like jewelry was a very challenging task. You’ll need to hop from one jewelry shop to another to compare and find the best buys. But now, if you need an engagement ring, you can easily check out online jewelry shops and review sites to choose the right ring. The same is true with almost any item you want to buy. Not only has the Internet made shopping easier, but it also influences buyers’ shopping attitude. Consumer decision-making process is widely affected by what we see and read on the Internet. The shopper’s journey is no longer a simple walk to the store to look for merchandise and buy an item. Today, consumers can simply refer to their smartphones to make a purchase. It is for this reason that brands are engaging consumers through their online portals. It’s evident that as consumers migrate to the digital space, brick-and-mortar stores are closing at a fast pace. According to Shopify.com, by 2021, global retail e-commerce revenues will soar to $4.5 Trillion dwarfing traditional offline retail sales. Without a doubt, our society is wholeheartedly embracing eCommerce and we’re expecting it to grow in the coming years. This is especially true as new technology trends make online shopping a lot more convenient. Here are some technology trends that will change your online shopping experience in the future. As voice assistants, such as Alexa, Google Home, and Siri, become more popular, we expect that this technology will also affect online shopping. It is estimated that 40% of millenials use voice assistants, such as Google Home and Amazon Echo, to research the items they will purchase. Voice purchases will make online shopping more accessible by reducing barriers to buyers. Some businesses are already preparing for this technological trend by using voice assistance in their online portals. Augmented reality (AR) is another technological trend that is set to revolutionize online shopping. AR enables consumers to check on the item without going to the physical store. For example, it lets you virtually “try on” clothing or tour the home on sale before purchasing. This technology removes one of the greatest barriers to online shopping – the inability to feel and see the merchandise. AR enables online shoppers to visualize and try the product before actually buying it. As these three technologies become part of online shops, we can expect a better eCommerce experience. Chatbots, AI and ML simulate human conversation thereby providing personalized assistance to consumers. Unlike the canned responses of traditional chatbots, these advanced AI-powered chatbots are now more adaptive and responsive to the needs of different users. For example, Facebook Messenger is already using chatbots that can help you purchase items in the marketplace. Another game changer is facial recognition. This technology will benefit not only the consumers but also the businesses. Although facial recognition technology is still in its infancy, it can provide useful information for digital marketers. It can help gather basic information about the consumers such as their age, gender, ethnicity, etc. It can also detect the facial expressions of buyers, giving them metrics of how their marketing fares. For consumers, facial recognition can provide added security by preventing unauthorized purchases. Convenience is an essential characteristic of eCommerce. 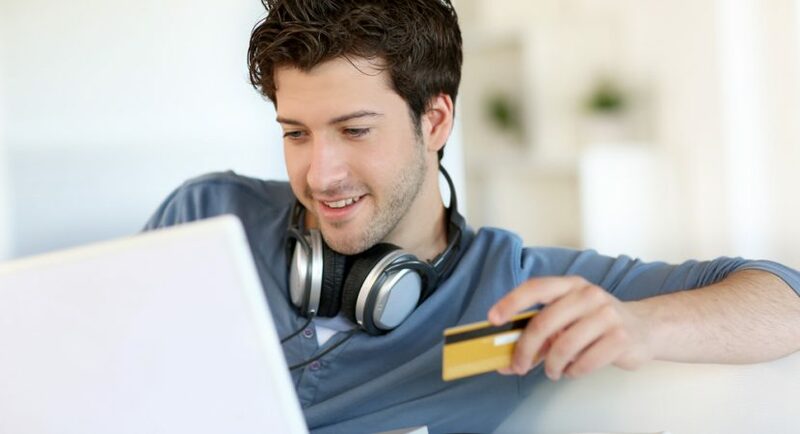 Efficient, fast, and secured payment modes have been very helpful in the rapid growth of online shopping. To address the recurring reports of cyber theft, contactless payment options with all-time high security have emerged, such as Google Wallet and Apple Pay. These new payment services guarantee consumers with better digital security. These new technologies are seen to greatly impact the future of online shopping. And as we see it, we can expect better eCommerce in the coming years.